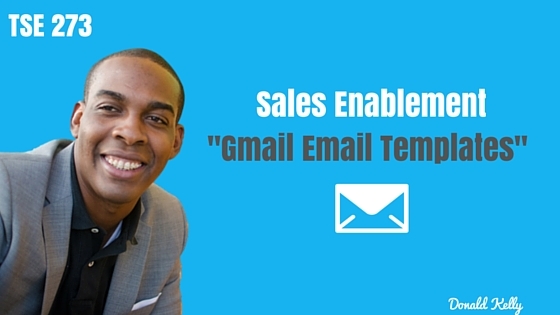 Today, I will share with you a very effective sales enablement tool with Gmail to help you speed up the amount of emails you send. This way, you will be able to work more effectively and focus on the more important things. Work smarter, not harder. It means utilizing technology, means, or processes to enable your salespeople to sell better. One thing that will help you enable your sales is the use of Email Templates and you can actually utilize Gmail for canned email, a tool-click process where it enables you to send out emails more efficiently. Click on the Gear icon in the upper right hand corner. Choose settings and click on Labs tab. Find “canned responses” and click the radio button to enable it. Now you may compose an email. If you want to use a canned email, just click on the bottom right hand corner of your email. One thing I’ve learned from Kevin Kruse during our last conversation back in TSE 266 is the importance of batching the time spent in sending emails. Instead of spending a lot of time composing emails, simply create canned emails to help you shorten the amount of time you’re sending emails in half or even more. TSE 961: How Do I Create A Cold Email Outreach Process?